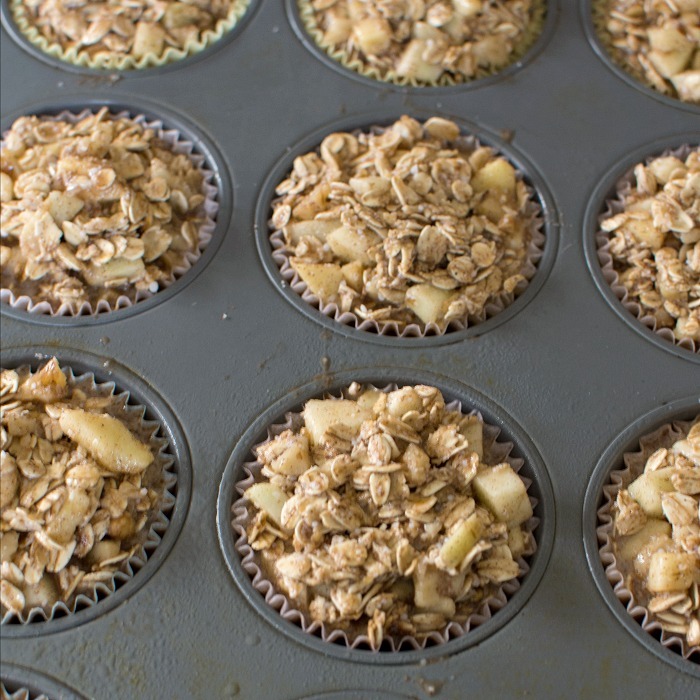 Apple Cinnamon Breakfast Oatmeal Muffins. What a great way to start the day! Take some old-fashioned oatmeal, add all sorts of good and nutritious ingredients, such as cinnamon, apple chunks, walnuts, protein powder for an extra boost, and you end up with one super breakfast oatmeal muffin.Wouldn’t you like to have a complete nutritious breakfast at your fingertips when you’re short on time? How about a healthier snack or an after workout treat? This is baked oatmeal in a tidy muffin form. This recipe has been updated from the original December 2016 version in order to provide a better experience for our readers. Last update April 2019. For this recipe you will need: old-fashioned oatmeal, apples, eggs, coconut oil, light brown sugar, almond milk, vanilla extract, walnuts, cinnamon, baking powder, vanilla whey protein powder, sea salt. You can easily make 12 breakfast oatmeal muffins when you have time. Bake them, then wrap in plastic wrap and freeze in a freezer bag when they cool. 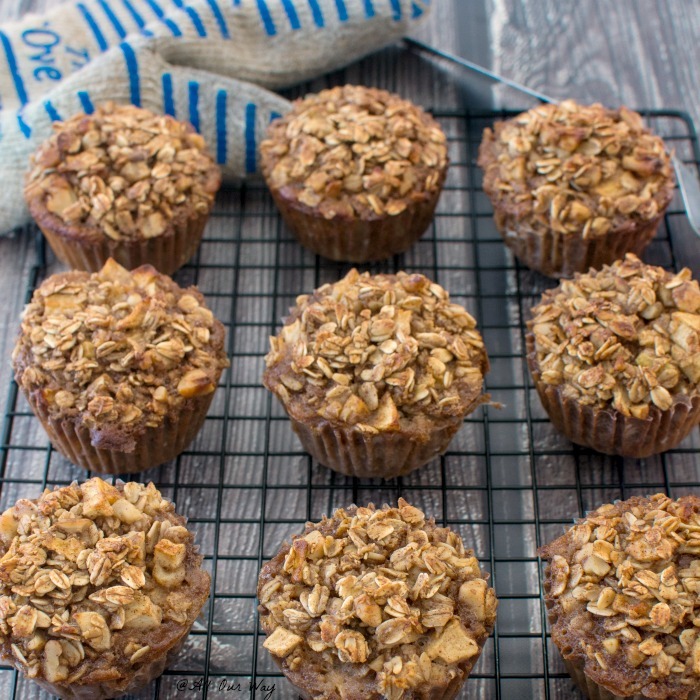 When you don’t have time for breakfast, just thaw the chunky apple cinnamon breakfast muffins. Stick the yummy muffins in the microwave and smell the wonderful aroma of apples and cinnamon that fills the air. They taste like you just made them. 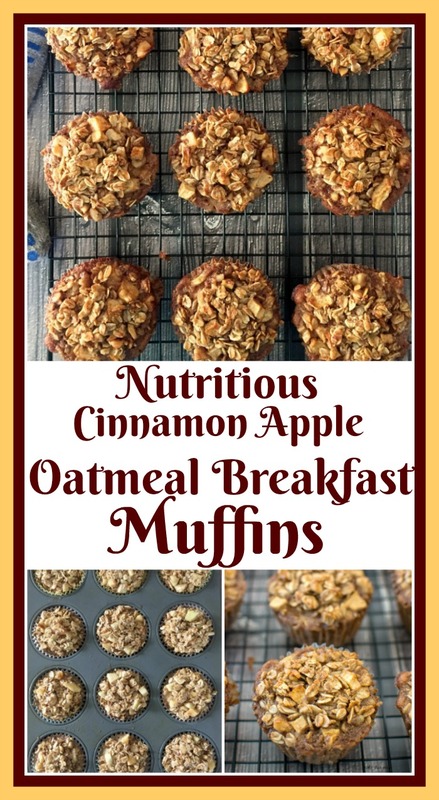 Apple Cinnamon Breakfast Oatmeal Muffins also make a terrific snack for your children. Anytime they’re searching for something to munch on, whip out a nutritious muffin and see how satisfied they’ll be. After a run or a workout at the gym you need to replenish you energy store. The muffins are perfect. Do you have a lot of shopping to do but no time to stop and eat? Take a satisfying oatmeal muffin along with you. We make our oatmeal muffins with old-fashioned oatmeal. Oatmeal is low in saturated fat and cholesterol but rich in fiber. I hope you’re not getting sleepy with reading this scientific stuff. But eating some form of oatmeal is a great way to start your day, plus it’s a natural whole grain oat that helps keep your energy level high. Now, for those people who have problems with gluten, whole grain oatmeal doesn’t naturally contain gluten but it may have a small amount introduced in transportation or processing. Most people can eat the oats without problems. If gluten is still a problem, there are brands of oatmeal sold as gluten-free, you can find a list here. This could be a good alternative for you. Along with good for you oatmeal, we include as many nutritious ingredients as we can in one little ole muffin. The muffin is a breakfast powerhouse with heart-healthy apple chunks, omega-3s rich walnuts, antioxidant loaded cinnamon, lauric acid-rich coconut oil, and low-fat almond milk. We hope you give these healthy breakfast muffins a try, we know you won’t be disappointed. 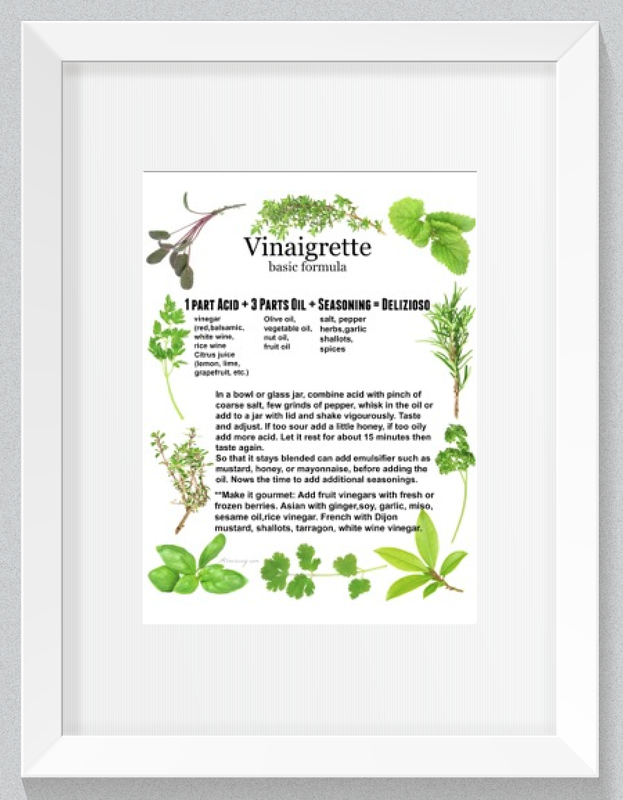 Be sure to sign up for our weekly newsletter so we can share what we’re cooking in our kitchen. These breakfasts are made ahead so you save time in the mornings. Thanks for being part of All Our Way! We love using these silicone muffin pans. In fact we even take them along with us when we travel. They are light and if we don’t have muffin cups we just lightly spray them with vegetable oil.We set both muffin pans on a baking tray for ease in taking in and out of the oven. I know you’ll love them as much as we do. Why have baked oatmeal when you can have healthy breakfast muffins in a handy form you can freeze and reheat? 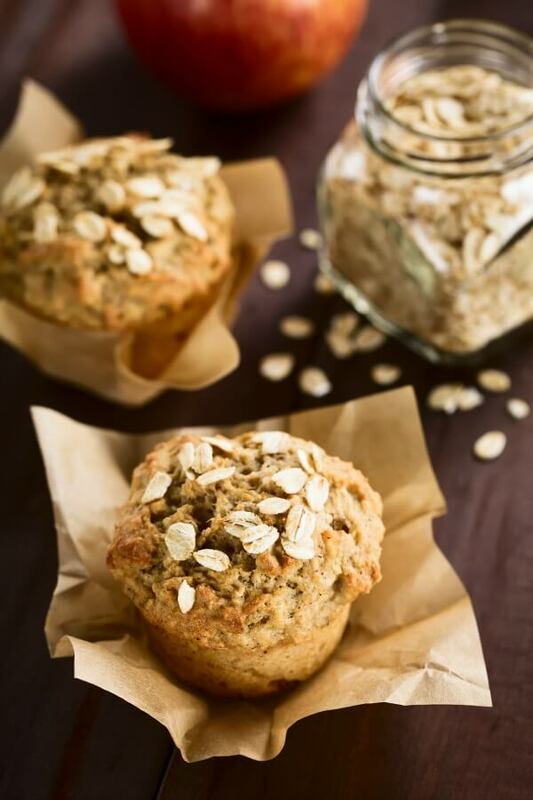 The apple cinnamon oatmeal muffins are packed with protein and good taste. So nice to take some along for the kids and yourself. Make a batch and freeze they come in super handy! 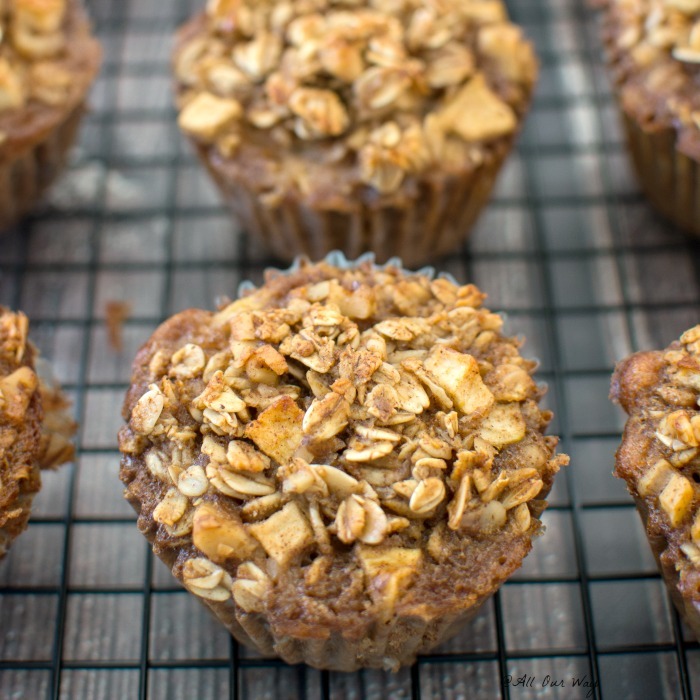 A nutritious breakfast oatmeal muffin that is full of cinnamon apple chunks. The muffin is a great way to fuel your body in the morning or whenever you need clean energy. Line muffin tins with muffin liners that are sprayed with cooking spray. In a large bow add the brown sugar, eggs, melted coconut oil and whisk until smooth. Whisk in the milk, vanilla and when that is smooth add the apple chunks. In another bowl combine the oatmeal, cinnamon, baking powder, whey protein powder, salt and mix until combined. Mix in the walnuts. Add the wet ingredients to the dry and stir to combine. Fill the muffin cups to just below the top. As you scoop be sure to stir the ingredients so you get an even mix of oats and liquid in each muffin. Bake for 30- 35 minutes. Cool for at least 5 minutes before serving. Cool completely before storing in sealed container. We wrap each muffin in plastic wrap and then freeze in a zip-lock bag. When ready to serve, remove the muffin paper and heat in microwave. They taste as if they were just baked. If you're allergic to walnuts you may substitute almonds or eliminate the nuts entirely. Yum, yum! These beautiful breakfast muffins look so darn good! I love how easy they are to make. What a great way to start the day. These are the perfect breakfast muffins. I never have made muffins with oatmeal before so thanks for the idea! These muffins look sooo yummy!! I can’t wait to make them and just grab one for breakfast in the morning. Like a little treat to start the day! Your oatmeal topping is picture perfect!! So jealous! I love the apple cinnamon combination for breakfast, these will be going into rotation soon. These muffin screams fall all the way. So warm,Cozy and comforting flavours . Just reading the recipe makes me feel so good. Love it. I love all the pieces of apple and theses look like a wonderful way to start my day! I love muffins- thanks for sharing! Oh my! I can see my children picking up 3 of those at a time. They are huge muffin fans, especially for breakfast. They think of it as having “cake” in the morning. I must try this recipe for them! Looks great. I love apples and cinnamon and oatmeal what a bonus muffin. My son absolutely loves all these flavors too and these are a perfect addition for me to bring along to his house for Christmas morning when I watch the grandkid open their gifts from Santa 🙂 have a wonderful holiday season and thanks for a delicious recipe! They are the perfect on the go breakfast! I prefer these to a bowl of oatmeal! Hi. I’m confused about the calories for this recipe. Is it 700 plus or 201 calorues pef muffin? Also what can I use instead of the oatmeal? Thanks. Hello, Marion! The calorie content would be 201 according to the app I used. 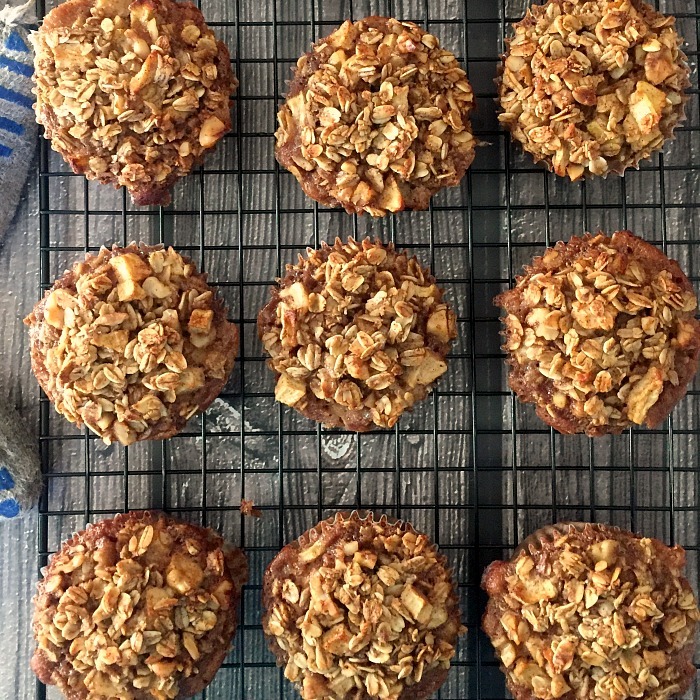 These are oatmeal muffins – we make them so that we can get our oatmeal in the morning. If you’d like another type, I have a banana chocolate chip muffin recipe on the blog and there are countless muffin recipes on the Internet. Thank you for your response. I need huge calories to help refeed anorexic D. 1000 cals would be great!! We don’t like nuts or oatmeal but was looking at substituting with choc chips and alternative to oats. Realise i need to do texas style. If you have anything i would love to hear. Thx so much. I love breakfast muffins..! These look so good and perfect for weekend brunch or breakfast. My kids would love it – Yum. Thank you, Veena!! We kind of experiment as we go along. This is a great basic recipe. I think kids get tired of the same old same old as we do — this was a great change for us. These look great. I use old fashioned oatmeal all the time for baking. I think I just might make a batch of these for the weekend. The grandkids are coming for a sleepover, and these would make the perfect snack..especially for me. I will be one tired gramma after the weekend is over. This is a perfect breakfast on the go! Many days I leave the house without eating breakfast as I am running late. This would be a life saver for me. Hello, Sandhya! I just made another batch today. We’ve taken to eating a muffin in the morning instead of cooking oatmeal. We enjoy it so much more. Marisa, these muffins sound fantastic! I like eating oatmeal and nuts every morning, and this is a change-of-pace way to do that. Cant wait to try them. Hi Marisa! I hope all is well! I just wanted to stop by and see if you got my email about the giveaway the other day? Let me know! Hi, Courtney no I did not. I’m sorry I didn’t respond. How delightful to wake up to muffins like these! I’d much rather eat these than a bowl of oatmeal. This is definitely a keeper!! Thanks for the nutritious post! Gorgeous – those muffins look so beautiful and I bet the house smelled divine while they were baking. Good Morning, Jovina! The house smelled very cinnamony. Forget about boiling stuff like oranges and cloves on the stove to make the house smell good — just bake goodies!! I bet you’re cooking today — so are we.